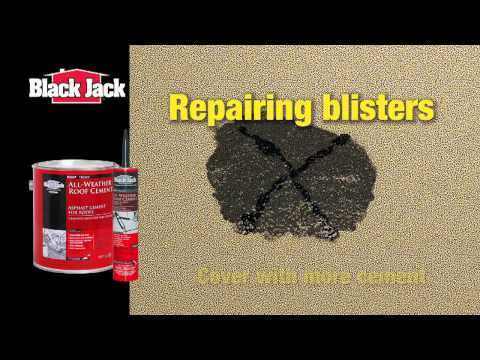 2172-9-84 29 fl oz 2.5" x 2.5" x 16"
Black Jack® Plastic Roof Cement is a pliable asphalt roof cement that can be used on damp as well as dry surfaces. Plastic Roof Cement is ideal for many roof repairs and for stopping roof leaks around vent pipes, spouts, valleys, skylights, gutters and chimneys. Use for the construction and repair of flashings, but not on rubber membranes or EPDM roofing systems. It may also be used to seal cracks in exterior chimneys, walls, foundation joints and for lining leaking gutters and troughs. Plastic Roof Cement is not paintable.